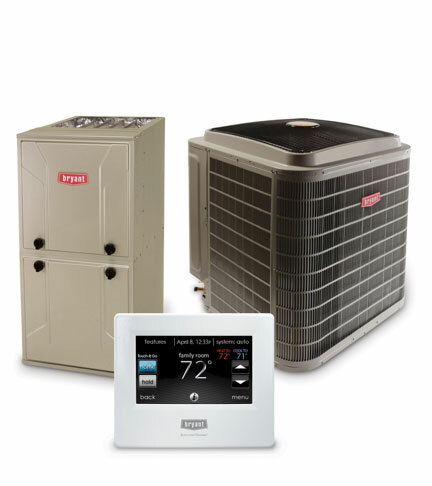 With more than 100 years of experience, Bryant® delivers a full range of durable heating, cooling, and indoor air quality systems. So if you’re looking for home comfort you can rely on, look no further. Bryant dealers do “Whatever It Takes” to keep you comfortable. And they’re never far away. As your local Bryant pro, Conn Mechanical Systems will help you choose the right Bryant system and provide ongoing support and maintenance for years to come. We are your local Bryant Factory Authorized Dealer of South Jersey! Contact us to learn more about the benefits of Bryant systems in your home. Why Choose a Bryant Factory Authorized Dealer? Bryant Heating & Cooling Systems, America’s leader in heating and cooling technology, has selected Conn Mechanical Systems as a Bryant Factory Authorized Dealer. To qualify for this endorsement, dealers must submit to a rigorous evaluation and meet Bryant’s high standards for excellence—not only in technical expertise, but also in their business practices and customer service quality. This initiative by Bryant is a rigorous, standards-based national endorsement. A select few of the heating and cooling contractors in the country receive this distinction. And, Bryant is so confident in the abilities of their Factory Authorized Dealers that they back us with a 100% satisfaction guarantee. That’s peace of mind you can count on! Bryant offers three tiers of central air conditioning systems—Legacy, Preferred, and Evolution. Depending on which tier you choose, these systems offer different efficiency ratings, but all provide reliable comfort at a great value. Learn more about these air conditioning systems, and give us a call to choose an air conditioner that’s right for your home. If you’re looking for an economical and efficient cooling system for your home, consider a ductless system. Bryant offers a complete line of ductless options designed to make your home more comfortable, whether you’re looking to cool one room or multiple rooms. Find out more about the benefits of a ductless cooling system, and contact us to schedule an installation. Want to save 20% on your energy bills? Upgrade to a Wi-Fi thermostat and stay in control of your home’s temperature. Call us for details.